Doctoral Program DK Discrete Mathematics , W1230, FWF, 2019-2023 (3rd period). Dimer algebras on surfaces, P 30549, FWF, 2017-2020. Mathematics and Arts: Towards a balance between artistic intuition and mathematical complexity. KFU Graz, 2014-2019. Doctoral Program DK Discrete Mathematics , W1230, FWF, 2014-2018 (2nd period). Symmetric groups and geometric representation theory, P 25647, FWF, 2013-2016. Researcher on the project: Dr. Dusko Bogdanic. Surface Algebras, P 25141, FWF, November 2012 - November 2015. Researchers on the project: Dr. Mark Parsons, Hannah Vogel. Cluster categories and triangulations, Prodoc Module, SNSF. 2009 - 2013. WINART2 workshop, Leeds, May 20-24, 2019. Organizers: K. Baur, G. Benkart, E. Faber, E. Kirkman, C. Walton. Europen Women in Mathematics General Meeting 2018, Graz, September 3-7, 2018. Organizers: K. Baur, K. Hess, E. Resmerita, C. Schönlieb. New Trends in Representation Theory: The Impact of Cluster Theory in Representation Theory. LMS/CMI research school, Leicester, June 19-23, 2017. Organizers: K. Baur, S. Schroll. Geometry and Representation Theory, ESI, Vienna, January 2017. Organizers: T. Arawaka, K. Baur, V. Kac, A. Moreau. 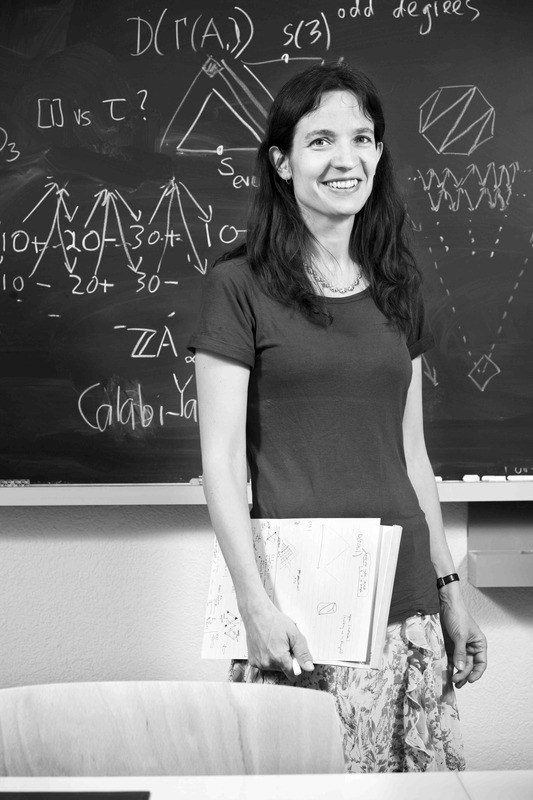 Cluster Algebras and Geometry, Münster, March 2016. Organizers: K. Baur, L. Hille. Cluster Algebras and Combinatorics, Münster, February 2014. Cluster Algebras and Combinatorics, Graz, March 2012. Algebraic Groups and Invariant Theory, at Centro Stefano Franscini, Switzerland, August 30 - September 4, 2009. Organizers: K. Baur, A. Premet, D. Testerman. Representation Theory Days in Zurich at FIM, ETH Zurich, November 27-29, 2008. Organizers: K. Baur, A. Moreau. Cherednik algebras at ICMS Edinburgh, UK, Jun 18 -22, 2007. Talk on frieze patterns at Tag der Mathematik , Graz 2013, slides: Vortrag. Inaugural lecture, University of Graz. June 13, 2012, short version of the slides: Einführungsvorlesung. Vortrag an der Seniorenuniversität Zürich, März 2011, Folien: Triangulierungen: Dreiecke als Grundbausteine von Polygonen. Inaugural lecture, ETHZ, April 2008. This lecture has been taped and can be accessed at Einführungsvorlesung. A CV can be found here (November 2018).